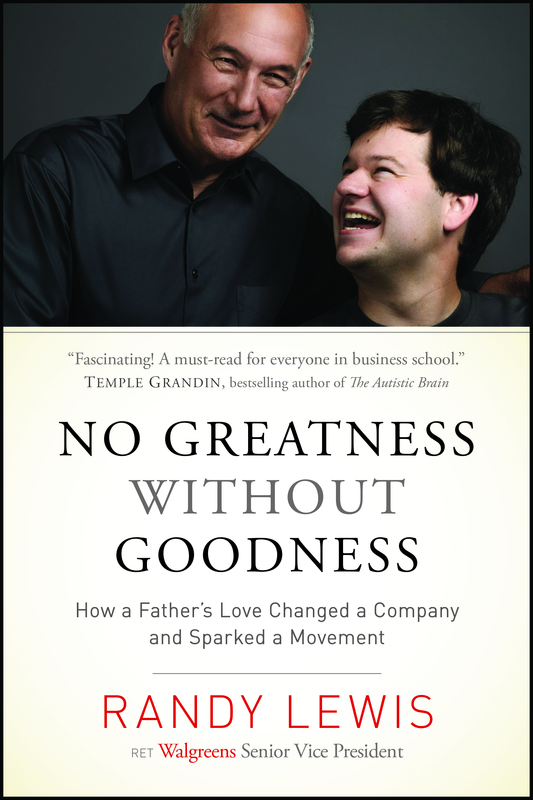 May 14, 2014: In today’s show I had the extreme privilege to speak with Randy Lewis, retired Walgreens Senior Vice President and author of “No Greatness Without Goodness ~ How a Father’s Love Changed a Company and Sparked a Movement”. I heard of Randy’s story on Moody or KLove Radio and was so touched and inspired that I tracked him down for this interview. His story, his son Austin’s successes with Autism and the brilliant and amazing door he opened at Walgreens. His book is a must read – No Greatness Without Goodness.